Our three lip balms are sure to leave your lips supple, soft, and ready to take on whatever might come your way. Chapped and cracked lips are a thing of the past with Daisy Blue's 100% natural lip balms. Our natural and organic ingredients moisturize, soothe, and heal to help you maintain those smooth and healthy looking lips. Our ingredients are 100% organic and safe enough to eat, which is good for your lip balm since there's a chance it can get ingested while you enjoy a cup of coffee or your favorite food! Apply, and reapply, naturally! 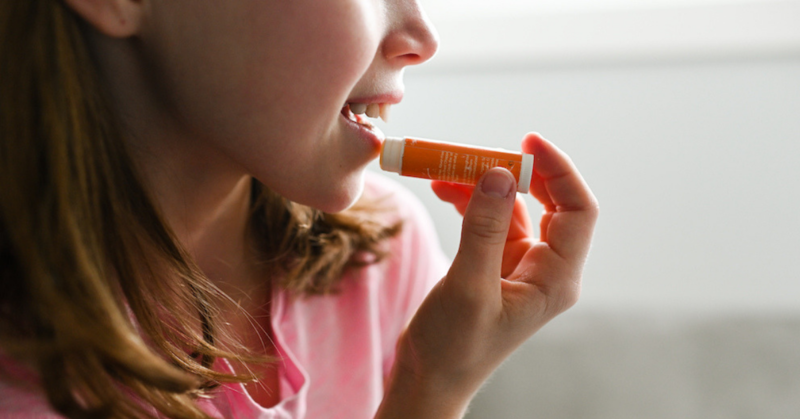 Great for chapped lips, our Vitamin E lip balm will sooth without causing irritation. Our customers swear by this simple yet effective and protective lip balm. A staple to your skincare routine living a light, silky, and flavor-free barrier on your lips. Our Grapefruit Mint lip balm is 100% natural and refreshing. It leaves you with a cooling feel like you are at a spa . Using pure mint and grapefruit essential oils it is also highly nourishing for your lips. This lip balm is multi-purpose helping prevent chapped lips, cold sores, and deters cold/flu viruses. With its antibacterial and antiviral properties, it can also double as a zit stick! Ingredients: Certified Organic Safflower Oil, Natural Beeswax, Cocoa Butter, Organic Hempseed Oil, Vitamin E, Rosemary Leaf Extract, Tea Tree essential Oil.